CTKG Elena’s Inauguration as Connecticut’s First Kid Governor was held at Connecticut’s Old State House on Friday, January 29, 2016. The seven student candidates from the CTKG Statewide Election and nearly 180 of their fellow students and teachers came to the Old State House for a celebration of the candidates and an immersive exploration of the three branches of government. Nearly 40 dignitaries and special guests attended the event. CTKG Elena sits down with the Connecticut Network’s (CT-N) Diane Smith to discuss her “Campaign for Kindness” and goals as the first Kid Governor. Connecticut’s Kid Governor® Elena and the Leadership Team at O’Connell Elementary School met with Governor Dannel P. Malloy and Commissioner of Education Dianna Wentzell at O’Connell School on March 18, 2016. They shared Elena’s Campaign for Kindness and talked about the role of the Governor in our state government. 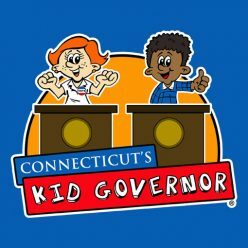 One goal of Connecticut’s Kid Governor® Elena’s Campaign for Kindness was for “Buddy Benches” to be installed on 10 Connecticut school or community playgrounds. “Buddy Benches,” a movement started by Christian Bucks of Pennsylvania and his principal, eliminate loneliness and foster friendship by providing a safe space for students to sit when they need a “buddy” to play with. Thanks in part to Elena’s campaign, Pleasant Valley Elementary School in South Windsor, Reynolds School in Newington, and McKinley Elementary School in Fairfield installed Buddy Benches. Additionally, the East Hartford Rotary purchased 11 “Buddy Benches” for the town’s elementary schools. To learn more about “Buddy Benches” and how you can bring one to your community, watch Elena’s videos and consult our handy Buddy Bench Planning Worksheet. CTKG Elena was invited to speak at the 2016 Connecticut’s Women’s Hall of Fame Induction Ceremony. Elena spoke in front of an audience of over 1,000 people and met with some of Connecticut’s inspiring female leaders, innovators, and role models. Read more here! CTKG Elena spent some time over the summer visiting with her constituents across the state at their local libraries. Elena shared her Campaign for Kindness with kids and their families at libraries in Meriden, Farmington, New Haven, and Middletown. 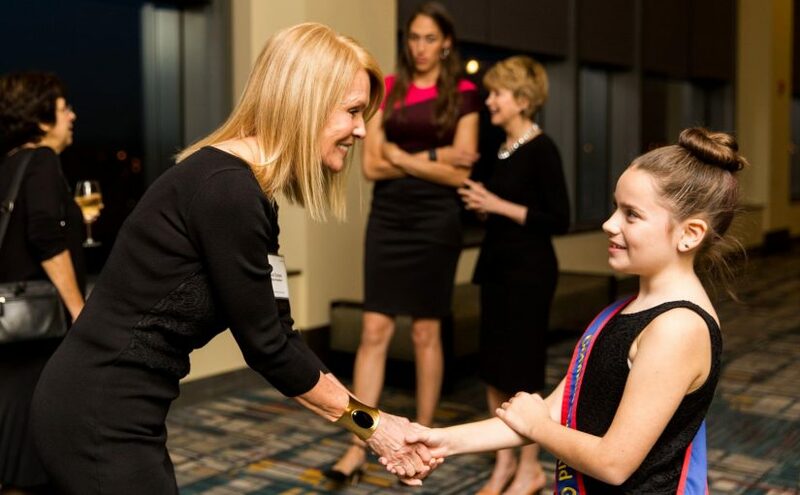 Read and watch the media coverage of Elena’s campaign, election, and term as the 2016 Connecticut’s Kid Governor by clicking here. Read more about Elena’s experiences as Kid Governor and the impact that she has made with her “Campaign for Kindness” by visiting her blog.